After the great success of recently launched 3G Smartphones, Idea Cellular launched two more 3G smartphones Idea ID 920 and Idea Aurus-III on Tuesday, May 21, 2013. 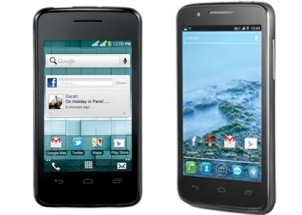 The main features of this both phones are dual SIM and Android OS. It is powered by 1GHZ processor. The price of ID 920 is Rs. 4,950 and Aurus-III is Rs. 6,990. The company head of Idea Cellular said that, ID 920 is a basic level phone and it is mainly targeting semi-urban markets. The Aurus-III is differ from ID 920 by its features of higher end Android OS version of 4.1, 4” TFT screen, 5MP primary camera with video calling facility. The idea cellular has sold 3 lakh 3G smartphones after entered in to the mobile market. They are betting on 3G smartphones and recently launched 3G Idea Whiz. The Idea got good response while launching the 3G smartphones of Idea Zeal, Idea Ivory, Idea Aurus, ID 918 & Idea Blade. Sasi Shankar, Chief Marketing Officer of Idea Cellular said, “The new 3G smartphones from Idea are priced affordably to upgrade existing 2G users to the 3G. ID 920 of idea cellular is a dual sim, Android 2.3 OS with processing speed of 1.3 GHZ, screen size is 3.5 TFT and it supports 2 MP camera. It also supports video streaming, push mail, and the access of social networking sites like Twitter, Facebook and Google plus. It also packs with 1400 mAh battery and 2 GB memory card with expandable memory of 32 GB. More features are updated when comparing to Idea 918. Idea Aurus III comes with internal memory of 4 GB of ROM and with 512 MB of RAM. It also supports the access of major social networking sites to share our ideas. Apart from this, it also has wide range of interesting applications and games to entertain. The Idea Mobile Network offering a special pack of Rs. 261, to get 1 GB and 1.6 GB of 3G data for ID 920 and Aurus III users and also they are offering three months free subscription for Idea TV. The new 3G smartphone from Idea Cellular will be available at all major mobile stores and outlets of Idea across the country. Very Interesting to see Idea launched dual Sim smartphones and there seems to be very high competition among smartphone vendors .. Idea Cellular Ltd not only launching this smartphones, they are also planned to launch more smartphones within this year. It will be tough for Idea to survive in the smartphone market. There are already many companies like Samsung, Apple, Sony etc in the market and they are doing great in this field. It will be interesting to see how much Idea can impact on smartphone market. Once upon a time, Samsung, Apple and Sony is also new to market, now they are best in the field. Before five or ten years, we don’t know samsung will overcome the companies like apple, sony etc… Now they did… If “Idea” is having good stuff(idea) for smartphone, they surely come to top. are Jailbroken. The jailbreaking and unlocking process for the iPhone 4 and iPhone 4.
multiple icons with just one move.